Serious truck accidents happen far too often—both in Delaware and across the country. According to the Delaware State Police's Annual Traffic Statistical Report, there were nearly 2,000 crashes involving large trucks in the state in 2016 alone, resulting in more than 500 injuries and at least 10 deaths. Fortunately, those involved in serious truck crashes caused by a commercial driver's negligence may be entitled to compensation for economic and non-economic losses, such as medical expenses, lost wages, loss of earning capacity, pain and suffering, and more. However, in some cases, commercial truck drivers may not be the only ones liable for an accident. If the trucking company that employs them failed to properly screen them during the hiring process, provide adequate job and safety training, or sufficiently supervise them, they may share in the liability for the accidents and injuries that result. If you're considering taking legal action after being injured in a Delaware truck accident caused by improper driver hiring practices, here's what you need to know. Truck accidents can be absolutely catastrophic for passenger vehicle occupants. Those fortunate enough to survive the accident often find themselves seriously injured, unable to work, and deep in unexpected debt. The fact that truck accidents can be life-shattering isn't surprising when you consider the size and weight of these hulking commercial vehicles. Legally, semi-trucks can be up to 57 feet in length and weigh up to 80,000 pounds when fully loaded. Driving such a large—and potentially dangerous—vehicle is a big responsibility, and it's up to trucking companies to ensure that their drivers are up to the task. Putting novice drivers, or drivers with unsafe driving records or unaddressed substance abuse problems behind the wheel of a massive commercial truck puts everyone on the road at risk. Following proper hiring practices is the least truck companies can do help avoid catastrophic accidents. Read and speak English sufficiently to communicate with the public, understand traffic signs and signals, and complete required reports and records. Have the training or experience necessary to safely operate the commercial vehicle in question. Meet the required physical qualifications. Have a valid commercial vehicle operator's license. Provide the prospective employer with a list of traffic violations they've been convicted of in the past 12 months. Be screened for prior criminal convictions such as drug possession or driving under the influence of alcohol. Present a certificate showing that they've successfully completed a commercial driver's road test. Failing to screen drivers for criminal records. Failing to screen drivers for previous drunk driving violations. 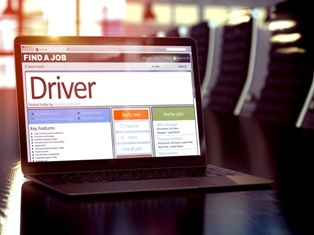 Failing to disqualify drivers for serious past mistakes, such as falling asleep while driving, or driving under the influence of drugs or alcohol. Failing to prevent drivers from exceeding the maximum driving hours, as specified by the FMCSA's Hours of Service Regulations. Failing to screen drivers for drug use. If you were seriously injured in a truck accident, it's normal to have questions and to wonder what you should do next. The lawyers with the Morris James Personal Injury Group have extensive experience helping truck accident victims just like you explore their legal rights and options for compensation. If you have questions about your truck accident case, we'd love to talk with you. Contact us today to schedule an appointment for a free initial case consultation.